America's imperialist adventure in Vietnam shaped the world we live in today in many ways. The injustice of the most powerful nation in the world bombing one of the poorest "back to the stone age" led to a radical questioning of the status quo, and put anti-imperialism at the heart of the radical movements of 1968 and beyond. But the internal dynamics of the American system shaped the conflict, which in turn shaped the experience back at home. The racist nature of American society, combined with the rigid class divide between rich and poor was even more acute in the jungles of Vietnam. 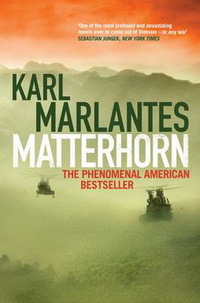 Karl Marlantes' book on Vietnam has rightly become a huge bestseller. On one level, the story is identical to a million other Vietnam war novels and films. A young, inexperienced, arrogant young Lieutenant, Mellas, reaches Vietnam, determined that his military experience (and his natural leadership skills learnt at a good college) will stand him well for a political career post war. Leading a company of 200 men in Vietnam would look good on his resume. There's a great little moment in the novel when one of the other soldiers, a black marine, asks what a resume is. Then laughs at the notion that a bit of paper would help you get a job. This gulf between worlds is quickly overcome for Mellas and the other newbies on the front line. Living in soaking wet foxholes, constantly plagued by leeches, enemy fire and a shortage of food, while being expected to follow the most insane of orders quickly teaches you something about your own army, and your fellow troops. But the Gulf between officers and grunts isn't easily overcome, particularly when those officers rarely leave the home comforts of their command sites, way behind the lines. The racial tensions, exacerbated by military policy, stupidity and racism from the top link in with the differences between leaders and led to create a toxic mix for the marines. Soldiers quickly question their orders, conflicts develop between their instinct for self-preservation and their training that almost forces them to follow commands. While assaulting a hill they themselves had reinforced only weeks before, Mellas' force looses many of its men. Believing they are poorely led cowards, the Colonel behind the lines orders them to assault a different hill, with barely a moment to recover their losses. The novel builds to a climax were all the contradictions, tensions and racism come together rather explosively. One noticeable thing about the book is how little the other side figures. Vietnam exists merely as a backdrop to the story. The enemy are anonymous figures, barely seen close up. What the war is in aid of isn't mentioned ("Show we were the gold is... or the oil" complains one marine"). This is a novel about internal relations, external ones are almost, and ironically, unimportant. The fact that Marlantes book is a best seller no doubt has something to do with the war that the Vietnam war has impacted on the US psyche. But it must also be because there are some enormous parallels between that unwinable conflict and more contemporary wars in Afghanistan and Iraq. The tensions that existed amongst the soldiers in Vietnam are no-doubt there in the Middle East today, though on a much smaller scale. The incredible racial and class differences that dominate US society remain as much of a problem for the establishment today, as they were in the 1960s. If I was part of the US establishment, I'd be very worried indeed. I dug this book out, purely on the basis of a review written over at Pechorin's Journal. I concour with everything written there, and in some ways I feel that his comments make my own review superflucous. Pig Earth is a strange novel. Don't pick it up if you're looking for a nice, simply linear narrative. It's a story, but it's also polemic and poetry. The opening chapter is a Marxist explanation of the role of the peasantry - their social-economic position and their historic position in society. It's useful, and frames what follows well. The remainder of the book can be viewed as a collection of linked vignettes - linked often by poetry - but more often by characters and places. At the core of the story though, is the struggle for identity. The developing 20th century, the wars it brings to a small peasant village in the French Alps and the changes that result from mechanisation challenge the fundamentals of life for a people who've worked the land for centuries. In some this inspires madness - in others frustrations and resistance - like the farmer who losses his cool and kidnaps the government inspectors. But the changing world has an inevitability about it, that means an aging peasant population and constant references to the younger people who have left, who won't carry on the old traditions, or even the very farms themselves. Berger's style is beautiful - though I found the poems less interesting than the prose - the last chapter has an air of magical realism, which jarred with the preceeding chapters for me - but that's what happens when you expect a nice, linear tale. The Black Death decimated the population of the medieval world. The epidemic that hit Europe in the 1340s can be argued to have fundamentally changed the world. While on the surface, the social relations that government the peasant dominated societies were similar before and after, beneath the surface, changes that had started before the plague hit, were being accelerated. Ziegler's book is an excellent narrative history. 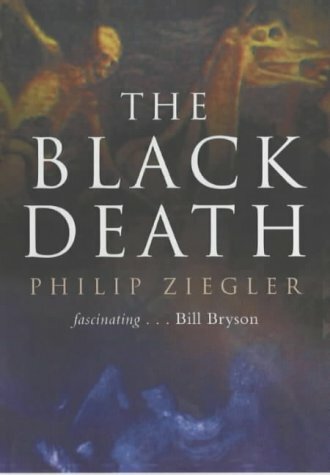 In trying to understand how the Black Death changed and shaped the world, he begins by looking at its impact as it proceeded through Europe. The plague had raged with "unparalleled fury" in the East. Rumours reached the major European seaports of a depopulated India, but "it does not seem to have occurred to anyone that the plague might one day strike at Europe". But the Europe wasn't isolated anymore. Trading ships travelled the oceans of the globe and with their cargos, they carried the pests that brought the plague. With grim inevitability, the disease arrived. The first place to be hit was the great centre of European overseas trade - the port of Genoa in Italy. The disease then spread rapidly westwards, the impact was similar in most European nations. This shouldn't be surprising, there was very little difference between the nations of Europe in those period. while the scale of the suffering sometimes varied, the ineffectual responses were very similar. Religious figures blamed the sins of the people and urged more prayer - though sometimes they were honest enough (at least in private) to admit that this would have little effect. The role of religion is important - not least because it shaped the only real world view that existed in medieval Europe. But also because the church represented the only bureaucracy that could give effective records for the impact of the plague. Statistics for the numbers of deaths in various towns and villages come from church records, but more importantly figures for the numbers of replacement churchmen allow the modern scholar to extrapolate the impact of the disease. This is important, not least because the medieval chroniclers are renowned for their inaccuracy when it comes to figures. Medieval writings describe deaths of tens of thousands in cities that could not possibly have had these populations. (Similar problems exist in the descriptions of contemporary battles - sizes of armies and casualties routinely don't match reality). Zieglar settles on a figure that says that approximately a third of Europe's population died. The plague didn't have equal impacts - the rich suffered proportionately less, though no one was spared. Occasionally, in an attempt to find blame, frightened populations massacred those they thought had incurred God's wrath - the Jewish pogroms of the time are well documented and often seemed to have, at least the tacit support of the local establishment. There were other interesting by-products of the plague, and the inability of the medieval mind to come to terms with what was happening - the Flagellant movement of religious people, who travelled from towns to cities on the continent, whipping themselves in front of crowds being one of these. The scale of the death was truly shocking - Ziegler points out that "even the front-line infantry man [in the First World War] had a better chance of surviving the war than the medieval peasant the plague." But Ziegler argues that contrary to some schools of thought, the shock to the social system that was the Black Death wasn't enough to usher in the changes that lead to the Peasants Revolt in the early 1380s. Instead he argues, that the Black Death encouraged the social processes - such as the increased numbers of peasants selling their labour - to occur. The shortage of labour after the plague had passed allowed, at least initially, wages to rise. But the Black Death did shake the medieval world. It helped change the way many viewed the world. 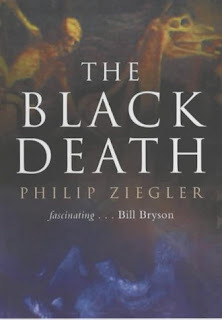 As Ziegler says, "The Black Death did not cause the Reformation, it did not stimulate doubts about the doctrine of the Transubstantiation; but did it not cause a state of mind in which doctrines were more easily doubted and in which the Reformation was much more immediately possible?" Because the Black Death had not spared anyone, because the church had been proved ineffectual, some of the most important pillars of society were undermined. As Ziegler concludes, the world was never quite the same again. The violent street demonstrations that took place in Thailand earlier this year didn't get the coverage in the Western media that they deserved. Partly this is a typical lack of interest from the mainstream for the struggles of ordinary people. It is also, perhaps, because broadcasters considered the internal politics of this country were maybe considered too complex for audiences here to comprehend. But the truth of the matter is that once again state repression in Thailand led the the massacre of ordinary people who were trying to fight for democracy. Giles Ji Ungpakorn himself is a victim of this - living in exile in the UK because he was deemed to have insulted the King of Thailand - the crime of Lèse majesté. In this context, Ungpakorn's book is tremendously useful. He gives us a excellent understanding to the ongoing crisis in Thailand and argues for a way forward for the movements struggling for change. Ungpakorn doesn't hide his politics. He is a revolutionary socialist, and a Red Shirt. This is important, because some on the left have argued that the street battles within Thailand have been simply about movements mobilised by representatives of two different sides of the capitalist class. The Red Shirts, in this simplistic analysis, represent followers of the former billionaire Prime Minster Thaksin Shinawatra who was overthrown in a coup by the military. The Yellow Shirts, represent the supporters of the new regime. Ungpakorn argues this analysis is simplistic. Thaksin was able to mobilise large numbers of the urban and rural poor, because his method of government was to invest in projects that directly improved the lives of the poorest. Not that Thaksin is a socialist. The strength of Ungpakorn's analysis is to argue that Thaksin is no friend of the poor - he is a rich man, intent on making himself wealthier. But his economic plan was too much for much of the rest of the rich and powerful in Thailand who hate the idea of any wealth being redirected to the lower orders. For the author then, the Red Shirts aren't a movement that is simply about restoring a different capitalist back to power, even though many of them may have started this way. This is a movement that is increasingly consciously fighting for democracy, because it is against the military. It is a movement that is self organised - with networks of radio stations and websites and a movement that has faced the most brutal of repression. The Yellow Shirts are for Ungpakorn a fascist movement, intent on breaking the struggle for democracy. Operating almost as a wing of the military, their gangs are about intimidating and smashing opposition on the streets. Ungpakorn doesn't avoid criticising the Red Shirts either. Despite a significant working class in Thailand, they have failed to really mobilise amongst workers and the weak Thai trade movement. The Red Shirts haven't for instance, opened up their struggle against wider oppressions in Thai society - occasionally using anti-gay slogans in some cities. But this isn't unsurprising in a country were the left is almost non-existent, and what left organisations there are, have been influenced by politics of Maoism, which distorted the ideas of Marxism in favour of armed struggle from the jungle. One of the most surprising things for me, was the way that the NGOs of Thailand have sided with the new military junta. Ungpakorn describes them as GNGOs. Governmental Non-Governmental Organisations, the pun is the point - they receive large amounts of funding from the regime and thus remain uncritical. They also have failed the test of any progressive - how do you relate to mass movements of self organised people struggling for democracy. Ungpakorn argues that the struggle must continue. He finishes his book with a platform for further struggle - calling for the Red Shirt movement to develop, expand and get rid of the "dinosaurs of Thai society, the Yellow Shirted Royalists". As a revolutionary socialist, Ungpakorn sees the struggle for democracy as part of the struggle for socialism. There is a short term goal and a longer term struggle as well. But socialists cannot abstain from the struggles in the here and now, we must be part of those movements to strengthen the larger battle. It seems to me, that there are echoes in Thai society today with the arguments and debates that took place amongst revolutionary socialists in Russia in the early 20th Century - the concepts of Permanent Revolution developed by Trotsky and then adopted by Lenin for instance. There is no doubt though, that the contradiction of Thai society - a extremely wealthy King, backed by the greediest of businessmen and military leaders, surrounded by a mass of the poorest peasants, workers and unemployed - is one that has always proved unstable. The future battles will deserve the solidarity of workers around the globe, Ungpakorn's book is essential reading to understand what is happening, and a true weapon for those taking part in the struggle. Giles Ji Ungpakorn's 'blog with writings on the situation in Thailand is here (English) and here (Thai). Ungpakorn wrote a number of articles during the most recent crisis in Thailand for the international left press, this article is a useful starting point. His "Red Siam" manifesto can be read here. 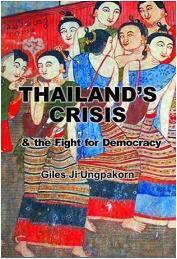 You can purchase Ungpakorn's book here. Those who know Arthur Ransome as the writer of the excellent childrens novels in the Swallows and Amazon's series are often amazed to learn that he had a rather more exciting life than you might imagine from someone whose most famous works concentrate on sailing, fishing and camping. In reality, Ransome's life was dominated by much bigger events, which is why only a few chapters towards the end of this excellent book deal with the later stages of his life when he became famous as the author of children's novels. The vast bulk of the book deals with his times in Russia - particularly the period of the Russian revolution. Ransome travelled to Russia looking for, it might be said, himself. Escaping from a marriage and a fatherhood that he clearly loathed, he arrived into a country seething with political discontent. He was there, to locate and translate Russian fairy tales. He found himself caught up in the greatest working class revolution that has ever taken place. Ransome was clearly bowled over by events. He was inspired and fascinated by the involvement of ordinary people in the organs of democracy - the Soviets. One of the strengths of this book, is that the author quotes at length Ransome's reportage from Russia. It gives both a sense of the period and the man himself. "It is impossible for people who have not lived here to known with what joy we write of the new Russian Government. Only those who know how things were but a week ago can understand the enthusiasm of us who have seen the miracle take place before our eyes." he wrote on the front page of the Daily News in the aftermath of the February revolution which overthrew the Tsar. Ransome was an unlikely supporter of revolution. As Chambers puts it, "in terms of his family background and education, he belong to the class which dominated and was protected by the Provisional Government [i.e. that which was in opposition to Soviet power throughout 1917]"
Ransome certainly wasn't a revolutionary, though he was a socialist when he went to Russia. His politics seemed to be those of the Fabian movement in the British Labour Party which certainly was no friend of Bolshevism. But he found himself utterly convinced by the realities of revolutionary power - a power that I think explains his enthusiasm far more than Chambers' argument that Ransome's failure at Rugby. Rather than having some sort of chip on his shoulder, I think that Ransome's excitement had more to do with the fact he was prepared to make an honest assessment of the revolution's highs. Later this changed - in his excitement and desire to bring the truth about Russia to a wider audience, Ransome tended to gloss over some aspects of it. I don't think this is because Ransome was blind to reality - more that he understood that the revolution had to be defended and fought for. This enthusiasm and lack of criticism meant that he was viewed with distrust and suspicion in the higher echelons of the British establishment. Media discussion of Ransome in Russia often centres on whether he was a British Spy or not. The problem is, that I don't think it is as black and white as this. 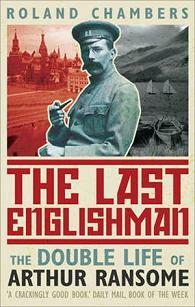 Ransome clearly did intelligence work for the British government - he also propagandised and helped the Bolsheviks. Lenin clearly saw him as someone valuable enough to trust with writing accounts for the western media. But for all his enthusiasm for revolution, I don't think that Ransome really broke with capitalism - perhaps he saw the new democracy but could conveniently believe that things were different back home. Becoming personal friends with leading Bolsheviks, marrying Trotsky's secretary and propagandising for the revolution was one thing. But his final return to Britain meant an abrupt end to his experiments with socialism. On one occasion he was shadowed by the police and interviewed. Chambers reports Ransome's answer to the question "what are your politics?" as "fishing". Ransome never finished his history of the Russian revolution, though his two books on Russia remain important works for those interested in studying the reality of the events of 1917 and afterwards. The police noted with relief that he didn't (despite lots of invitations) speak at socialist or radical meetings about his experiences - something that Ransome's friend and colleague, Morgan Phillips Price certainly was happy too. Oddly enough, I finished this book not liking Ransome as a person. His revolutionary excitement for the idea of workers taking power, never seems matched with his own relationships. His abandonment of revolutionary politics may be due in part for his concerns for his new wife's family under Stalin, but Chambers portrays him as a man who was only really after personal stability - the right wife, the perfect boat, the best home and a career that would see him lauded for something, anything. His relationship with his daughter is arrogant and uncaring, his lack of emotional engagement with the death on the Western Front of his brother is odd from a man who seemed to put such emphasis on sibling relationships in his novels. Ransome's fame eventually brought him wealth and some sort of happiness. But this later stage of his life is the least interesting part of this great biography. The importance of which is that it puts Ransome's strange and contradictory life squarely into the context of a changing world, shaped by the great struggles of the early 20th century - war and revolution. Rare is the detailed book on sport written by an avowed Marxist. Still less are books about, cricket, perhaps seen as the most establishment of sports - at least here in the UK. 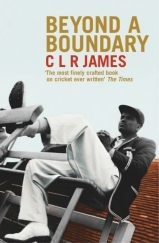 But the central tenet of CLR James book is summed up with the famous line, "What do they know of cricket who only cricket know" - you can't understand the sport, without understanding its context. In this sense, the book is a very interesting piece of work. The descriptions of James' childhood, with cricket a central part of his life are fascinating in and of themselves. But the way in which he shows the sport as being part and parcel of shaping a cultural identity is also fascinating. As is the descriptions of race and class that flow from this. The battle that CLR James was part of, to make a black man the captain of the West Indies cricket team sums up the way that colonial people's had to struggle every inch of the way for their own right to nationhood. But if I am honest, I was disappointed with James' take on sport. For someone who sees the importance of sport's cultural, political and historical context, I think he becomes inflexible with his own ideas. He dismisses out of hand the way that "Trotsky had said that the workers were deflected from politics by sports". He misses of course that it can do that, and it can be an instrument of their anger and radicalism. Trotsky was writing in particular of the effect of football on the working class in Britain - the use of sport here was a concious attempt by the ruling class to divert people's attention from their own suffering. But move several thousands of miles away and the situation is reversed. Part of the problem is no doubt James' own experiences, and perhaps his own political break with Trotsky. But the problem gets worse I think when James begins to draw links between sports and culture. He writes that the "spontaneous outburst of thousands at a fierce hook or a dazzling slip-catch, the ripple of reognition at a long-awaited leg-glance, are as genuine and deeply felt expressions of artistic emotion as any I know". Now of course, people enjoy watching good sportsman ship (though they are as likely to cheer a lucky shot or a badly played one, if their team gets some more runs), but I think that James is projecting his own deep love for the game of cricket onto others here. Particularly when he goes on to describe the lines made by cricketers limbs almost as an art form. But James is better than this. Here he sums up the difference between what the sport means for different peoples (and I think, in part contradicts his earlier sentiments). "West Indians crowding to Tests bring with them the whole past history and future hope if the islands. English people... have a conception of themselves breathed from birth. Drake and mighty Nelson, Shakespeare, Waterloo, the Charge of the Light Brigade, the few who did so much for so many, the success of parliamentary democracy those and such of those constitue a national tradition. Underdeveloped countries have to go back centuries to rebuild one. We of th West Indies have none at all, none that we know of. To such people the three W's, Ram and Val wrecking English batting, help to fill a huge gap in their consciousness and in their needs." Leaving aside the decidedidly dodgy idea that parliamentary democracy is a success for everyone, it is a useful summing up the role of the sport in the development of West Indian cultural identity. James' understanding of class and how racism was used to divide and rule makes his take on sport particularly interesting, but his attempts to put cricket at the heart or on a par with everything else, culturally, historically and politically felt simplistic and unsatisfying to me.